A big-city lawyer was representing the railroad in a lawsuit filed by an old rancher. 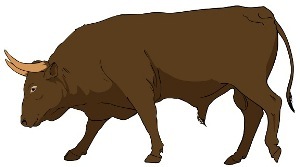 The rancher’s prize bull was missing from the section through which the railroad passed. The rancher claimed that the bull must have been hit by the train, and wanted to be paid the fair value of the bull. The case was scheduled to be tried before the justice of the peace in the back room of the general store. As soon as the rancher showed up, the attorney for the railroad pulled him aside and tried to get him to settle out of court. The lawyer did his best selling job, and finally the rancher agreed to take half of what he was asking.